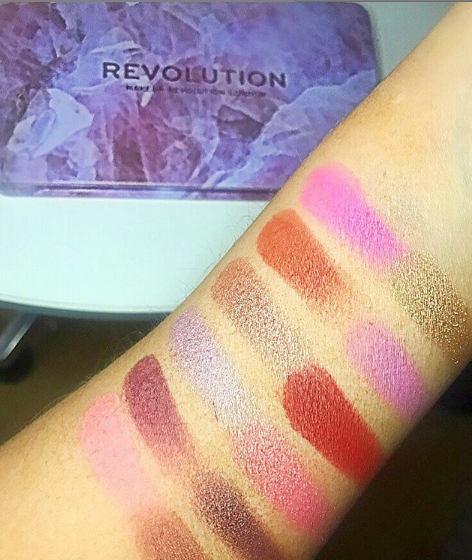 I love Makeup Revolution as I’m sure you all know by now, if you follow my YouTube channel and my blog. As soon as I saw these four palettes being launched I got so excited. 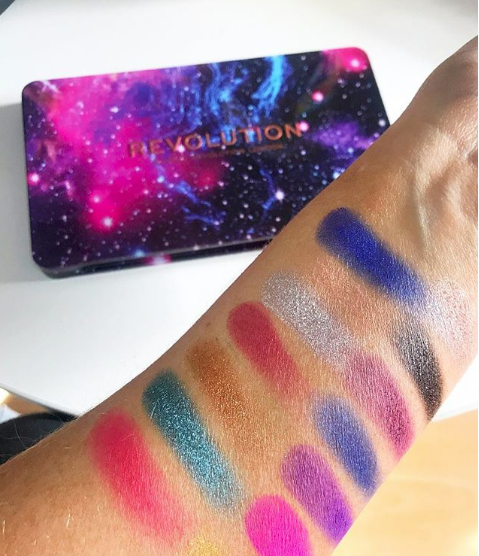 I spotted this one first, the constellation palette stood out to me first because of the gorgeous packaging. The colours in this palette are amazing, I love how bright they all are. They really do show of the pigment in each colour. Every single colour has an amazing amount of pigment. That pink!!! :O. Anyways, lets talk about the packaging for a minute, these palettes are in like a tin packaging and I think this is so different and you can see a lot of thought has gone on to this palette. The colours represent the constellation space vibes, so do the colours. The palette also offers a mirror which I think is very useful for traveling and just applying your eyeshadow. This palette is a really pretty girly palette, which again I love. I love the colours, the pigment and the packaging. I think the packaging on this one really goes with the other palette. This one I actually find myself using this one more. I love the pink shimmer in this palette. These palettes are mostly shimmer may I just add. I cant wait to try out there other two palettes, I will let you know as soon as I get them.